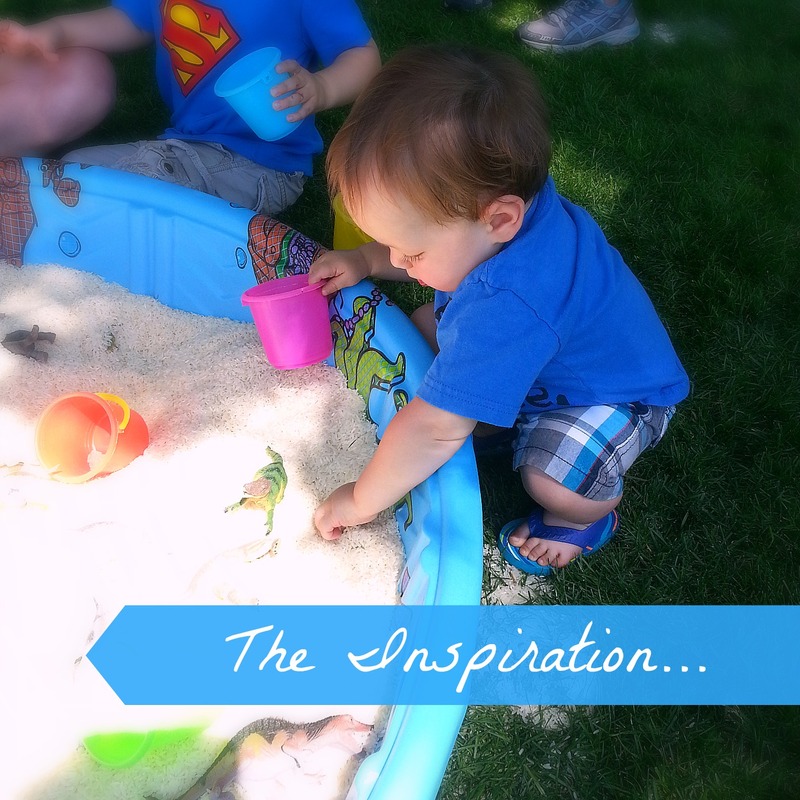 This sensory play box is an easy way to introduce your toddler to sensory play! 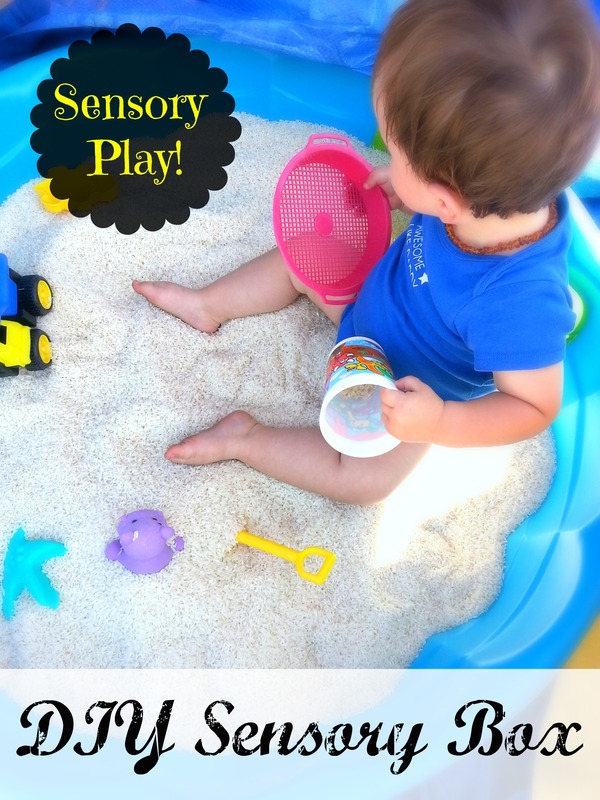 Sensory play is an important way that babies and toddlers learn by experiencing the world through their senses. In this sensory play box, your toddler uses his or her senses of touch and sight, combined with lots of imagination, for hours of entertainment and learning! 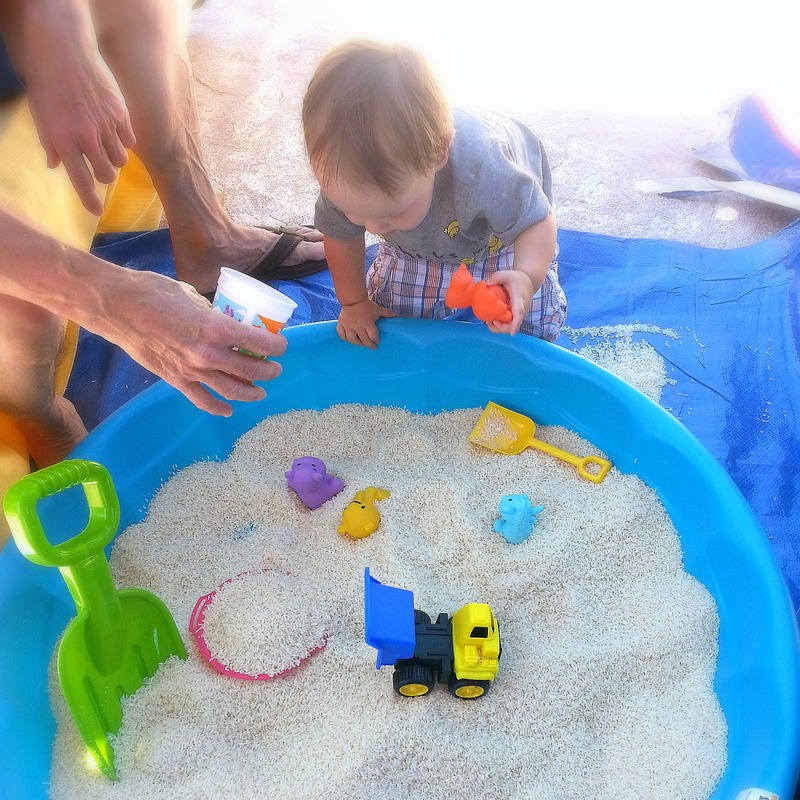 The easiest option to protect your rice from the elements, especially if you live in an area with a lot of rain, would be a plastic sandbox that comes with a lid. I went the less-expensive route and chose a simple kiddie pool. I also got a huge plastic tarp to go under it, and I just fold the tarp over the top of the kiddie pool when we’re not using it. My little guy looooooves his sensory play box. 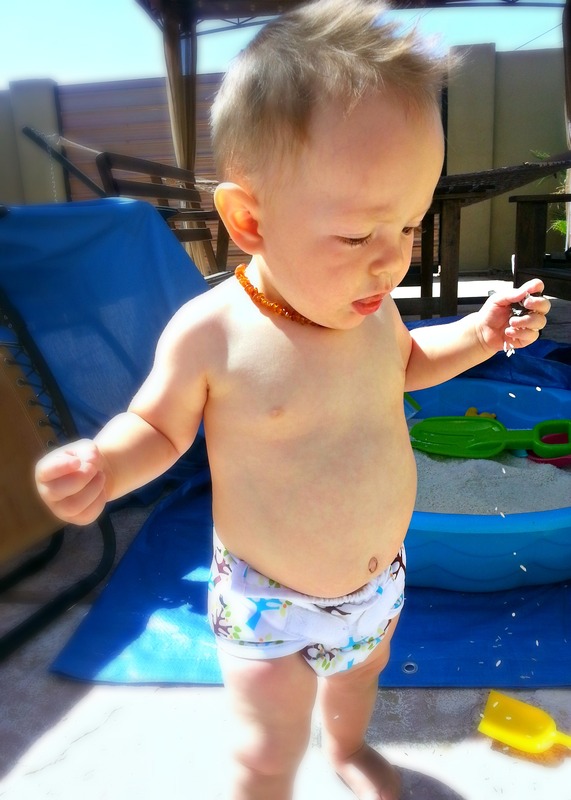 Whenever we used to go outside, all he wanted to do was go over to the pool and splash the water. Now all he wants to do is play in his rice box. Alllllll the time! It’s very cute. 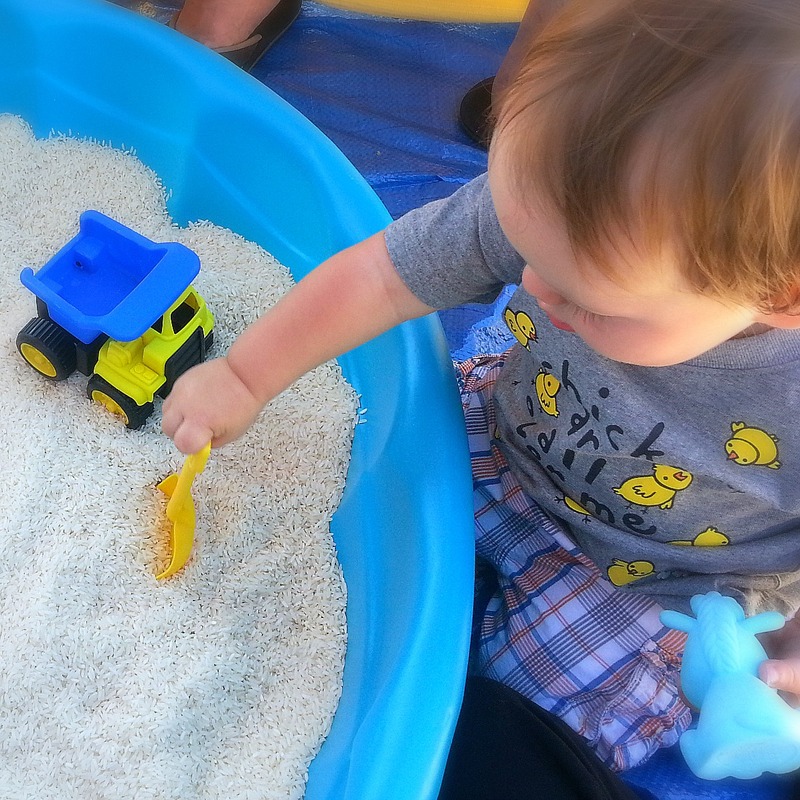 I don’t have any pics of it, but he also sits in the kiddie pool and plays with the rice there. One of our favorite games is hiding his toys under the rice, and then he finds them and digs them out. 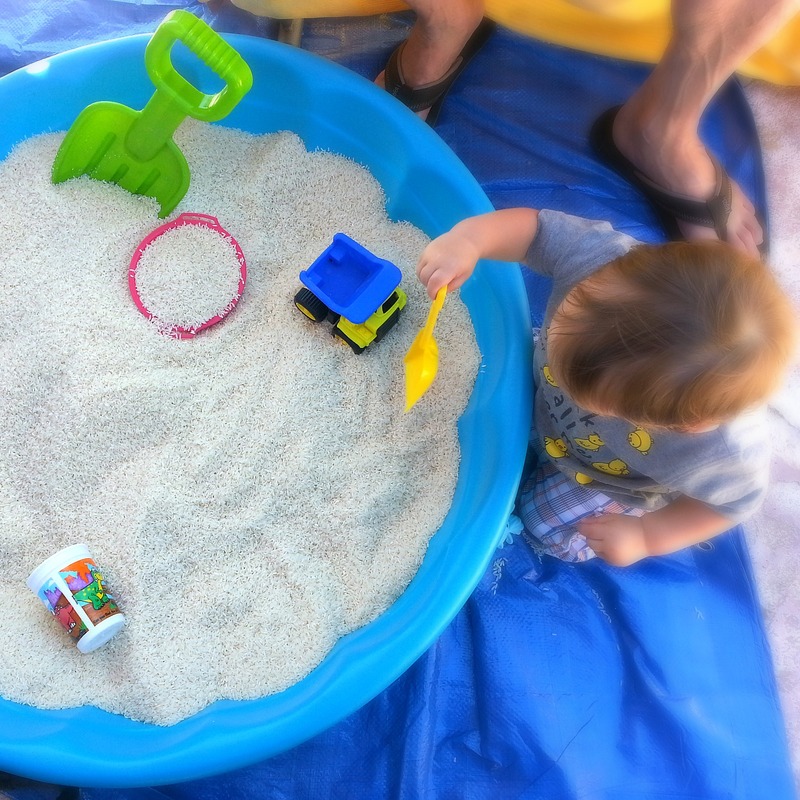 It is easy to clean up rice that spills out of the pool and onto the tarp using a small dustpan and brush. I just toss our plastic one into the rice box when we’re done playing. Update: after a few weeks I noticed some tiny little bugs were attracted to our rice box. So I added about 15 drops of eucalyptus essential oil to the rice. Bugs don’t like strong smells. The bugs disappeared and haven’t returned for weeks. I’d call that a success!